The drinking water market in China is growing and changing the ways Chinese consumers access clean drinking water. Failed by municipal answers thus far, many Chinese are now actively solving their drinking water problems independently rather than wait any longer for improvements in municipal water supply. This has led to an exponential rise in demand for residential water treatment devices. Companies from all over the globe are now flocking to supply China’s increasingly affluent urban and rural populace with clean drinking water solutions. With 19% of the world population but only 7% of global fresh water resources, China is facing huge challenges in sustaining economic growth whilst at the same meeting its population’s rising demands for a clean and healthy supply of tap water. Due to continuing population and economic growth, demand for drinking water is rising whilst the overall water supply has fallen significantly by 12.7% since 2000. Moreover, the growth-at-all-costs economic development model that the Chinese government has pursued for many years has poisoned much of China’s environment to a staggering degree. Every year hundreds of millions of residents in China fall ill due to drinking contaminated tap water, whilst many expose themselves to longer-term health issues by drinking municipally provided water of poor quality. Solutions are needed in the absence of potable tap water. Traditionally, those seeking these solutions are residents in China’s wealthier coastal provinces. However, sales are no longer confined to tier-1, or even tier-2 cities. 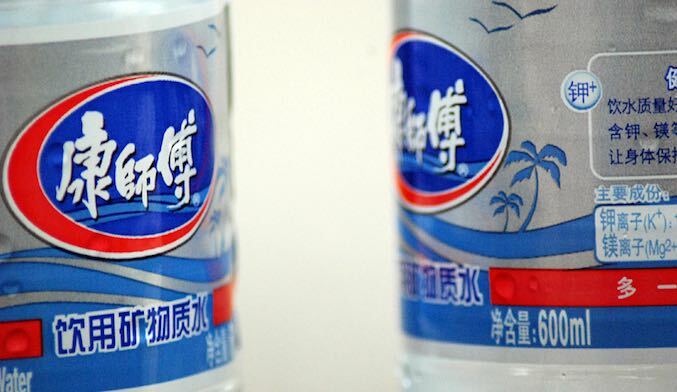 Unlike before, many foreign water purification manufacturers are now selling in the majority of China’s provinces. Currently, it is estimated that only around 10% of the Chinese population cannot afford the cheapest water filtration device and this proportion is continuing to decrease. Consumers from all over China are increasingly turning to decentralized, residential water treatment as their answer to the problem, and this has lead to an explosion in the number of firms entering the market. China’s drinking water market is increasingly fragmented with more firms, domestic and foreign, forced to compete. There are estimated to be more than 3,000 firms of vastly different sizes now operating. Even Xiaomi, best known for their recent conquests in the mobile phone market, plan to launch an internet-connected water purification product at the time of writing, to complement their existing air purification unit. Recently the market has been growing at approximately 20% annually. This would make the market worth around $4.2bn in 2017, based on conservative estimates. Residential water treatment can roughly be divided into two categories: Point-of-entry (POE) and point-of-use (POU) water treatment devices. POE devices are installed on the main supply line and treat all the water entering a particular home or business. POU devices are installed on a single water outlet and mainly intended to treat water for drinking and cooking only, although POU devices do exist for use in the bathroom. Behind these systems lie a variety of different technologies. Some note that using cheap, carbon filters in all Chinese homes will provide the most suitable solution to the water problems that China is currently faced with. This would help provide a temporary solution until safe municipal water can be provided. Many believe the infrastructure-based solution chosen by the Chinese Government is the wrong decision. With the urbanization process in China by no means over, continued growth of urban areas will likely outpace any improvements in infrastructure. Residential water treatment technologies on the other hand can provide a suitable solution to most of China’s population, and enable access to safe drinking water. Thus far, municipal solutions have failed to provide potable drinking water to the Chinese public. High pollution levels with no short of mid-term solution combine with an increasingly educated and aware public that are more and more concerned about the quality of their drinking water. At the same time this, primarily urban, populace are benefitting from rising income levels, meaning residential water treatment is now affordable to increasing numbers of people. These factors combined have perpetuated the growth in the market and will sustain this growth as this consumer group grows rapidly. Residential water treatments can fill the gap left by municipal failures. Independently ensuring your own water safety is increasingly thought of as the most desirable option, if not the only, and the rising Chinese consumer class is beginning to adopt this technology in large numbers as a result.